We all have a different organism, and what’s good for someone might not even work for someone else. That’s why there are so many misconceptions and misunderstandings about health advices, diets, weightloss plans, etc. However, according to experts, there are certain diets that are considered the best of the best. Experts note that there is no single diet that would be best for everyone, however, each healthy diet has certain benefits for everyone. Their rankings are meant to promote the best eating styles most likely to improve health and steer people away from misguided diet plans. The Mediterranean diet won the title “The Best Diet Of The Year” second time in a row and it was named the best diet in America by U.S. News & World Report. The diet includes eating lots of healthy fats as olive oil, lean proteins, plants and whole grains. It also includes cutting out all processed foods, refined sugars and red meat out of your eating plan. The diet has long been linked to many health benefits, including lower risks of cancer and heart disease, better kidney health and a healthier gut. There are 3 more titles this diet acquired like, “The Best Diet For Healthy Eating, Diabetes And Heart Health”, “The Easiest Diet To Follow” and “The Best Plant Based Diet”. 1. As we said #1 was The Mediterranean Diet, it mainly consists of eating lots of healthy fats, lean proteins, plants, whole grains, while excluding processed foods, refined sugars and red meat. This diet is considered the best diet in the world, it lowers risks of cancer and heart disease, it increases kidney health and promotes a healthier gut. 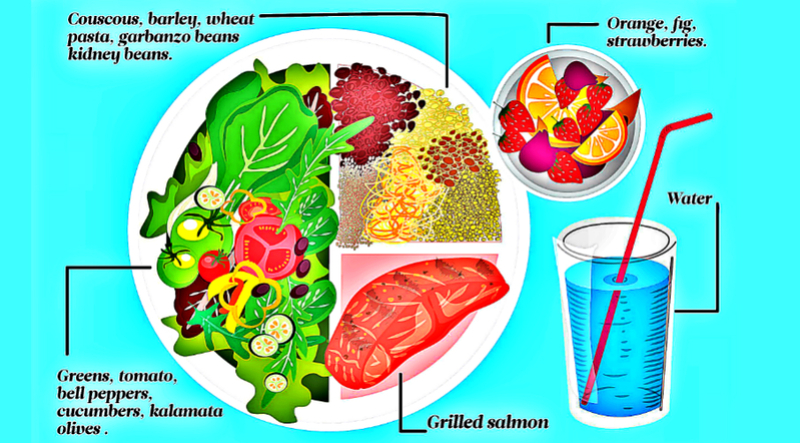 Many Blue Zone countries follow exactly this eating plan. 2. Second place is The DASH Diet designed to lower blood pressure. It aims to lower the sodium intake while you load up on minerals such as potassium, magnesium and calcium. People who follow this diet at plenty of vegetables and fruits, low fat dairy, whole grains and moderate amounts of lean protein. They avoid fats, red meat and different kind of sweets. This combination of eating it’s not just healthy but lowers the blood pressure. 3. The third place belongs to The Flexitarian Diet. This is a diet for so called flexible vegetarians and it’s great for weight loss, it lowers the risk of chronic conditions including heart disease, type 2 diabetes and cancer, according to researches. It consists mainly of eating mostly plant based foods while significantly reducing meat intake without cutting it out completely, hence its name. It’s great for people who want to start eating vegetarian.